The G6 joins the ranks of the Galaxy J7 Perx, LG Stylo 3, and Galaxy S8/S8+ in the Calling PLUS stables. What exactly does Calling PLUS entail, you ask? Well, it's a bit confusing, but it's basically a solution that combines WiFi calling with the ability to use data while they're in calls (you can read more about it here). It's similar to VoLTE, but uses VoIP tech. The G6 was already capable of WiFi calling on its own, but this bit is new. It's not too clear what "Wholesale VoWiFi" is and how it differs from regular voice over WiFi, but that's what Sprint says is new. Also on board are the "latest" security patches, which are presumably October's. 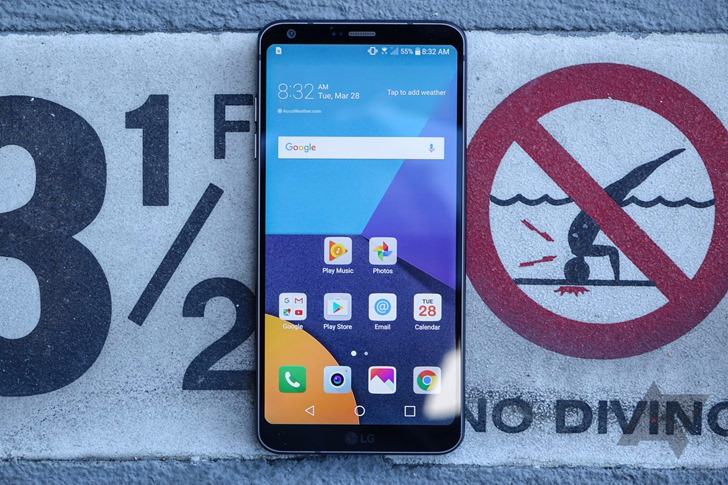 The update, which carries software version LS993ZV8, was apparently released over-the-air on October 3rd, so some of you may have already seen it. According to this XDA thread, it also increases LTE speeds, call quality, and battery life. Sprint G6 owners, let us know if you've installed this hefty 775MB OTA yet.